Machinery Taxi to RWY 29 of Warsaw Chopin Airport. Taxi to RWY 29 of Warsaw Chopin Airport. Swiss Airlines Bombardier CS300 taxing in the sunset to the RWY 29 to take off. Outstanding! SwissAir should buy this. 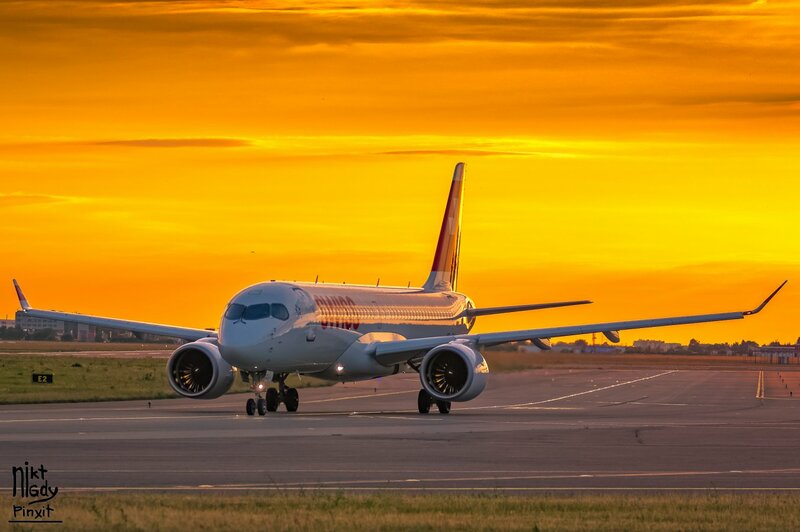 Great pix...would make a very good photo for either a Swiss Air or Bombardier brochure.I can see the caption now..'.Fly the Golden Skies of...(fill in the company name, etc )". Great angle for this, everything lines up perfectly!